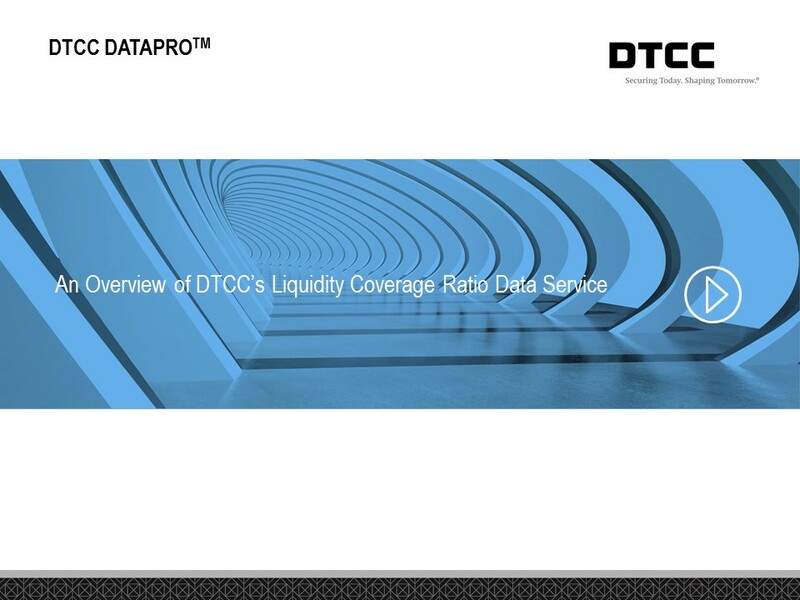 DTCC Data Services has just released a new product for institutional investors that provides a comprehensive depth of market view of all U.S. equity trading venues. This unique offering will deliver daily views of trade volume by key metrics and transaction types including buy, sell, short sell and short sell exempt with historical data available from December 1, 2011 onwards. DTCC Data Services offers referential and activity-based data provisioning that delivers fixed and configurable data solutions sourced from DTCC’s transaction, reference, position and asset servicing data covering all major asset classes. As the largest depository in the world and the primary infrastructure in the U.S. for clearing, settlement and asset servicing, DTCC is uniquely positioned to deliver the timely, reliable data firms are seeking to help them reduce risks, cut costs, increase operational efficiencies and enhance the quality of their market insights. The DTCC Data Services offerings provides streamlined access to up-to-date information sourced directly from DTCC’s trade-processing and data repository engines. Processing approximately US$1.6 quadrillion in securities transactions annually, DTCC can capture an unparalleled depth and breadth of detail on transactions and securities issues, and consolidate and enrich the information to meet clients’ varied and growing data needs. DTCC Data Services offerings, organized as follows, deliver multiple perspectives to help firms address an array of business and regulatory needs. The Corporation Actions Web (CA Web) Tutorial provides an overview of the CA Web platform. 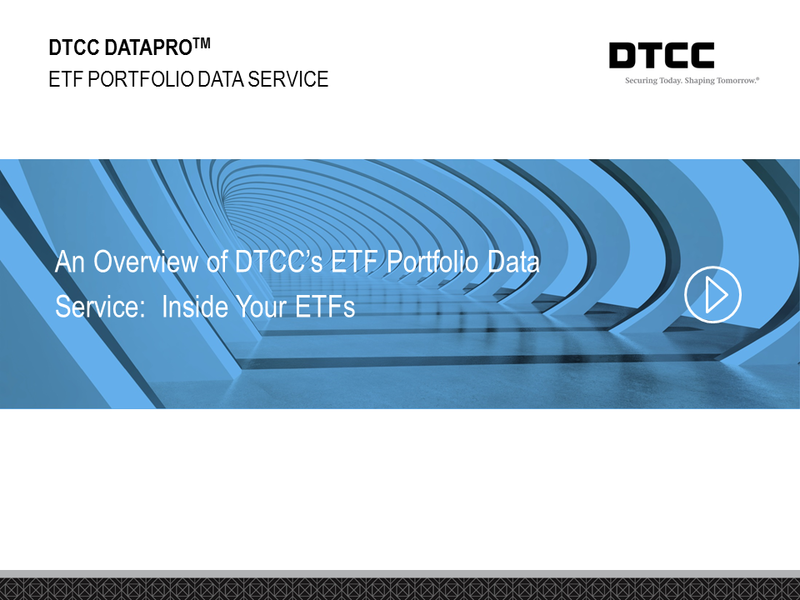 This 20 minute video provides an overview of the DTCC ETF Portfolio Composition file and ETF historical data products. The Corporate Action (CA) Web - New User Training course will provide you with an overview of CA Web service, as well as demonstrating how to search and view corporate action events. In this overview you will learn how the LCR Data Service can help guide you to optimize your current liquidity requirement.